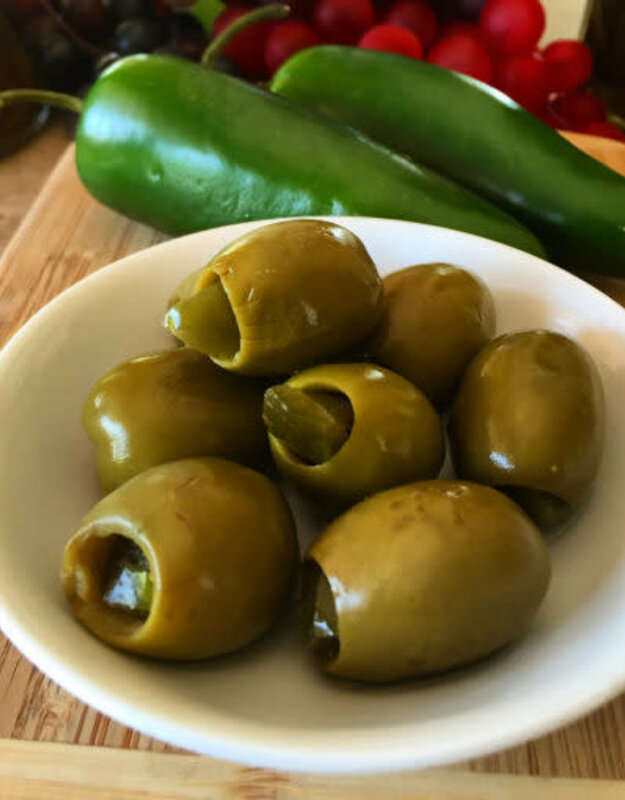 Turn the temperature up a notch with our gourmet Jalapeno stuffed Olives! Juicy, flavorful olives are hand-stuffed with real jalapenos for a taste that exudes spice and true jalapeno flavor. These mini fire crackers are a healthy addition to many snacks and dishes. For a unique surprise, garnish your martinis, beers, and cocktails with our gourmet olives. 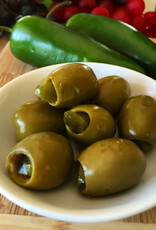 Ingredients: Olives Hand Stuffed with Jalapeno Peppers, Water, Salt, Vinegar, Lactic Acid, May Contain Trace Amounts Of Sodium Benzoate & Sulfites as a Preservative.